Good new for those users that are tied of budget but would like to own a new netbook at an affordable price. 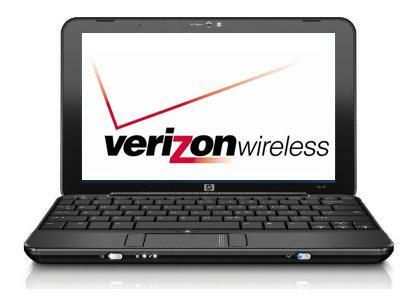 Now Verizon, the famous US based network service provider has just announced the plan to release HP Mini 1151NR netbook that allows consumers to enjoy its mobile service and purchase the netbook at subsidized price. The HP Mini 1151NR will be powered by Intel Atom N270 processor clocking at 1.6GHz. Further backed up with 1GB RAM and 80GB hard disk drive, it is quite a basic machine suitable for daily mobile computing activities. Some other hardware specifications include a 10-inch LCD display, USB, Ethernet port, memory expansion slot and etc. Since it is a collaboration effort with Verizon, the machine will be equipped with internal 3G module that supports Verizon’s EDVO network for seamless connectivity while the subscribers are on the move. Preloaded with Windows XP Operating System, the machine will be available for sale at $199 tomorrow with 2-years new contract and monthly subscription plan of either $40 per month or $60 per month depending on data plan of 250MB or 5GB respectively.